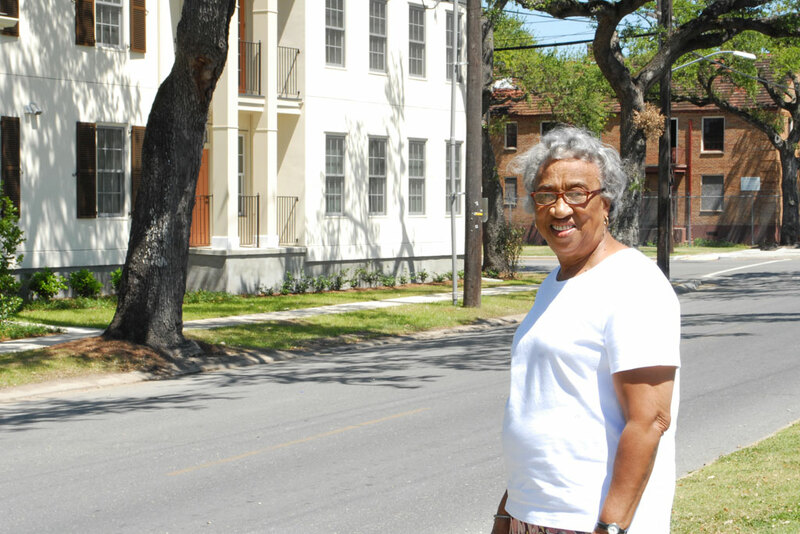 Emelda Paul, a proud resident of the 6th Ward , has called the Lafitte/Tremé neighborhood home for over 35 years. Ms. Paul was a stay-at-home mom who gave love, support and discipline to her three daughters and the children of her neighborhood. Ms. Paul’s life philosophy is to be curious and courageous, a perspective she eared when she realized the consequences of not standing up and speaking up. This outlook has served her well and she has embraced new challenges and sought to improve herself and her community at every turn. Ms. Paul devotes herself to giving back and works as Resident Supervisor at the Sojourner Truth Neighborhood Center at Faubourg Lafitte. 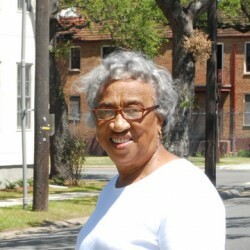 Ms. Paul has high hopes for the new development and believes that it will be a better neighborhood.